On a cold blustery day in Bagshot, we braved the winds to receive our share of the funds from her mayoral year. We will be inviting Cllr white along to meet some of our charities and present funds to them in the future. Juliette May, John May,Cllr Valerie White, Cheryl D’Cruz,Cllr Colin Manly and Sandy Grayson. Tandoori Treats opens it’s doors and raises money for LMF! 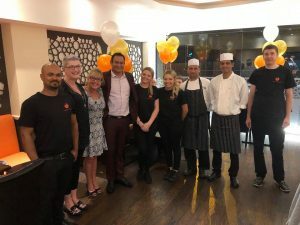 Tandoori Treats at 413 London Road Camberley has not one but three new owners, Ajay Chauhan, Raghubir Bisht and Gajendra Singh. The trio decided to launch their new authentic Indian food menu by inviting 36 diners to sample their food for free! All they asked for in return was good honest feedback and for their diners to donate any tips to their lucky chosen charity the Lisa May Foundation. Thanks to their generous and full diners we were given £375 in tips! Ajay and his team presented us with some amazing food and the service was provided with a smile too. They are offering a 20% off your food bill if you eat in during May 2018. 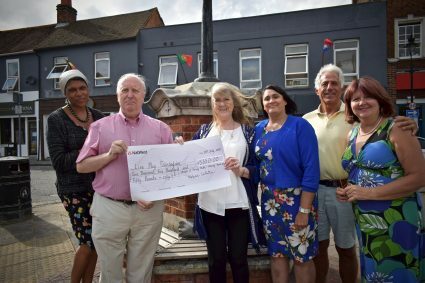 We are incredibly proud to announce that the Surrey Heath Mayor’s Ball held at Camberley Theatre raised a magnificent £6,960! There maybe one or two more donations in lieu so this figure may increase. Both Harper Asprey and LMF wish to thank the sponsors, Mahesh & Elena Singadia, Luff & Wilkin, Luff Associates, HeliView and Tandoori Treats as well as all the guests who so generously donated on the night. Thanks must also go to some very special volunteers too, Tina Carney, Jenny Thornton and Nick Ransom who all played a part in helping to make this event special. Our appreciation must also go to the staff at Camberley Theatre who worked so hard to ensure we had a fab time, they were a pleasure to work alongside. Thank you to our Mayor Cllr Valerie White for choosing LMF and Harper Asprey this year, it’s been emotional. Please check out the video below that we made to say thank you. All for my Aunty Lisa. Thank you to young Ethan Massey for taking part in this years Children’s Challenge for the Lisa May Foundation in memory of his Aunty Lisa May. 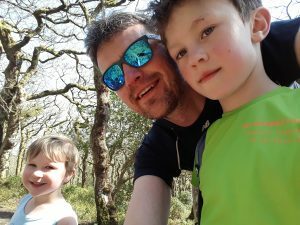 Please check out the amazing challenge he is undertaking and encourage him to complete the 21km course by sponsoring him if you can. 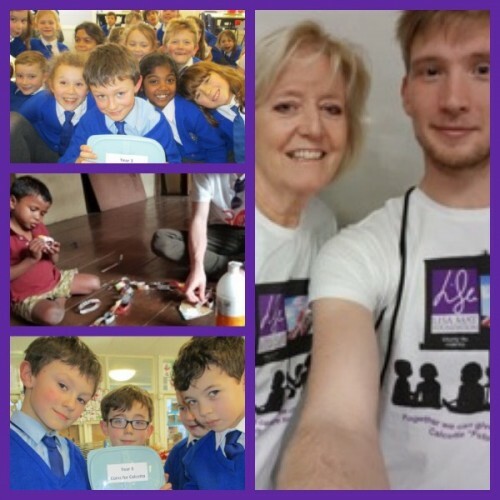 It is so lovely to see young people doing such positive and caring things with their time. 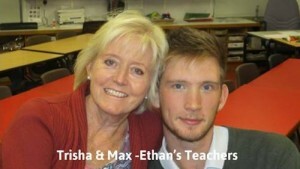 Teachers Max Richmond and Trisha Halstead wanted to put their time off over Christmas to good use, helping others. They planned to fly out to India and lend a helping hand in an orphanage and associated school called Future Hope. This non-governmental organisation (NGO), set up thirty years ago, aims to provide shelter, education and support to some of the worst affected street children of Kolkata. Max knew the school well as he had worked there between 2013 and 2015, and felt compelled to do more whenever he could. Despite fundraising at school, they needed just a final injection of cash to get them on their way. 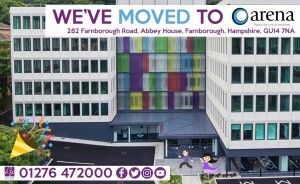 The family connection and goal of helping young disadvantaged children made this an easy decision to support. 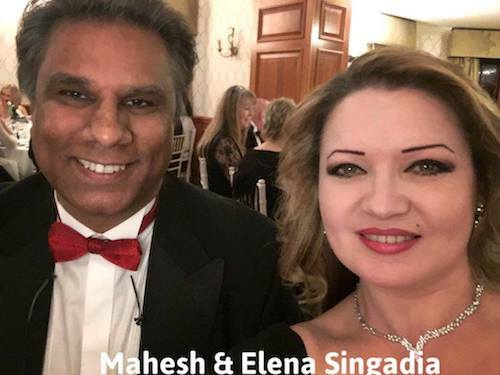 We then teamed up with loyal supporter Mahesh Singadia, who has a keen interest in supporting projects in India, due to his involvement with the UK India Charitable Trust Fund. Together we boosted the Future Hope Fund. A fun and interactive paper aeroplane design workshop which was followed by a flying competition! Both teachers ate lunch and dinners with the children, helped them with homework and kept them company throughout the time of their stay. Not too many pictures were taken as the teachers felt it was a bit of an intrusion on the privacy of the children, who were after all simply having fun on their Christmas holidays. It is so nice to be able to be part of a project focused simply on giving these children a better chance at a life we all feel should be available to every child no matter where they live or their personal circumstances. It is also beautiful to see how children of the same age in the UK were keen to help their friends across the globe to make some happy memories this Christmas. Thanks must go to Max and Trisha for giving their time and skills for free and to Ethan and his school friends for the time they spent helping make this happen. We can only do more projects like this with your continued support, so please share our work and introduce us to new contacts who might want to help us make lives better. Students from Shiplake C of E Primary School, raising funds is that their friends in Kolkata could have a special Christmas to remember. Students in Kolkata enjoying making happy memories thanks to their friends from Shilplake, UK India Charitable Trust and LMF. New Year , New Opportunities. A new year brings new opportunities and challenges to us all. LMF are keen to keep the memory of Lisa alive by helping children and those less fortunate who need a helping hand from to time. We will be busy looking at new charities and projects to help. Of course as always we need and value new volunteers and supporters to help us spread the word and raise funds. Thinking caps are on at the office and we are keen to carry on the legacy that Lisa would be proud of. Watch this space we are going to be busy bees this year! 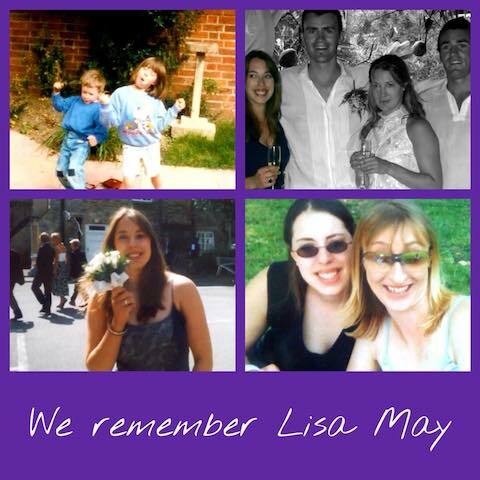 Today we remember Lisa and all those we lost in the 2004 Boxing Day Tsunami. Our thoughts are with the families affected by this horrible tragedy. We will continue to work hard to help those overcoming their own personal waves of disaster. We would appreciate even the smallest of donations! It is one of our favourite things to do this festive season carol singing! This year there was a quirky twist as we joined forces with the Harper Asprey team and ran a Queen songs vs traditional Christmas carols session. 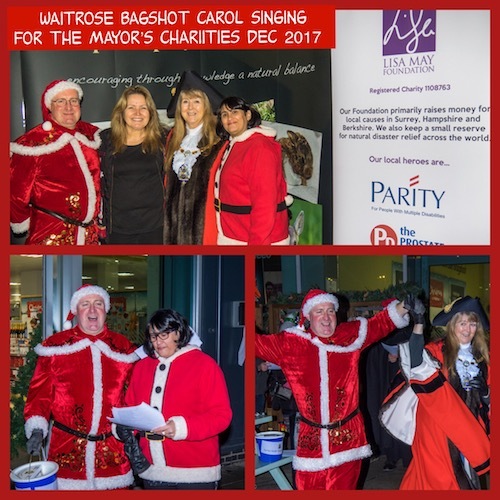 Waitrose Bagshot were keen to have us outside encouraging hotels customers to go inside and shop! Our joint efforts were to raising money for the Mayor’s charities, Harper Asprey and LMF. The Mayor of Surrey Heath Valerie White danced the night away with Father Christmas too! Thanks to all those who came to sing and donate. Special thanks to Harper Asprey Wildlife Rescue for providing the playlist and PA system. Giving ‘Future Hope” to the children of Calcutta. This year our Christmas project takes us back to our roots in supporting aid across the globe, in memory of Lisa May who lost her life in the Boxing Day Tsunami of 2004. We knew that making a donation to two teachers from the school of young Ethan Massey, Lisa May’s gorgeous nephew would be an absolute must. 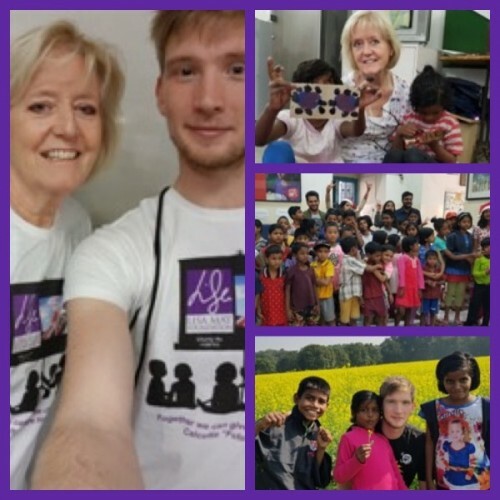 Ethan’s teachers Max & Trisha have flown out to Calcutta this week to visit and teach children who have no family to support them. The children live in a home which now takes care of them and their education. Max and Trisha will teach, and do some fun festive activities with the children right through the Christmas period before returning home at the end of the year with pictures and stories to tell.Good luck Trisha and Max, what great teachers Ethan has to inspire him as he grows up. This project was funded by a generous donation from a loyal supporter Mr Mahesh Singadia and his UK India Charitable Trust. These deprived children will benefit this Christmas time because of their generosity. We are always looking for new supporters who want to help us with our work abroad and at home. If you or your place of work could help please do get in touch with us. We can do more together and share the joy of giving something back.